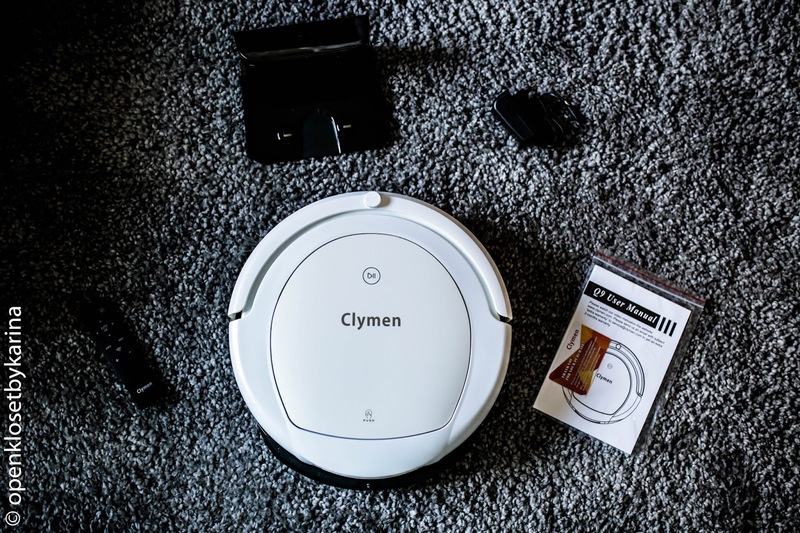 How are you all today?Today on the Blog I will show the Most Practical,Stylish,Vacum ever: Clymen Robotic Cleaners:) Super easy to use and Finally I dont have to Vacum all the House by myself. 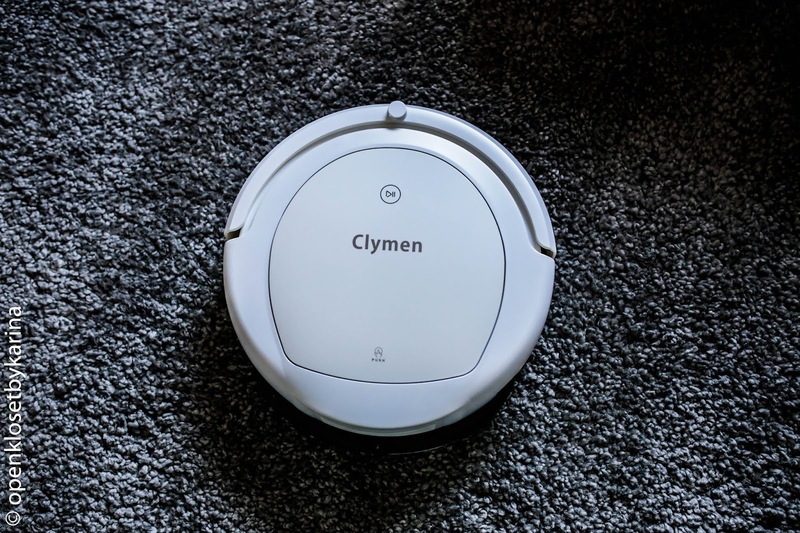 With a Clymen Robotic Cleaner you have the world in your hands: you don't need to worry about your house being a mess and you can focus on the things that truly matter in life! 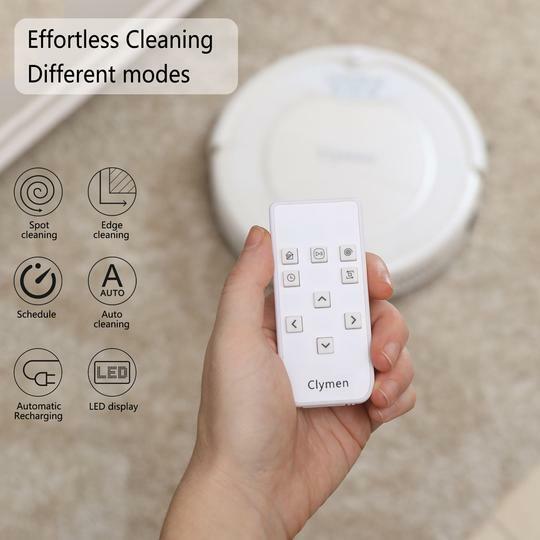 Clymen offers 3 Different Model: Clymen Q7, Q8 and Q9:) These Robotic Cleaners are not just Practical, you Save Time but Chic and I Really Love the Design. 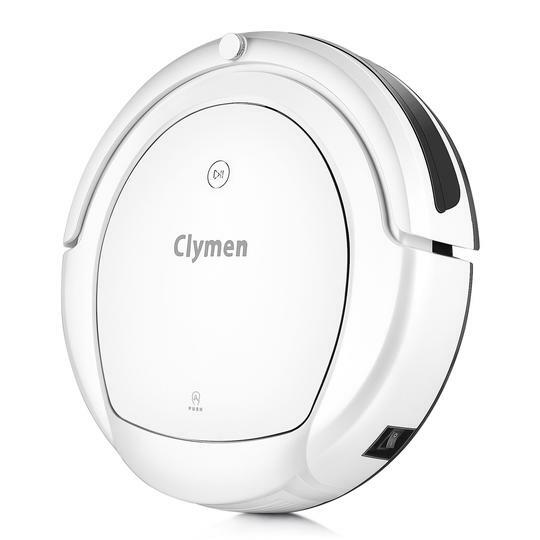 Every Busy Women need this Magic Robotic Cleaner.Perfect Gift as well, I am sure Your Mum, friends would be Very happy with a Clymen Cleaner. 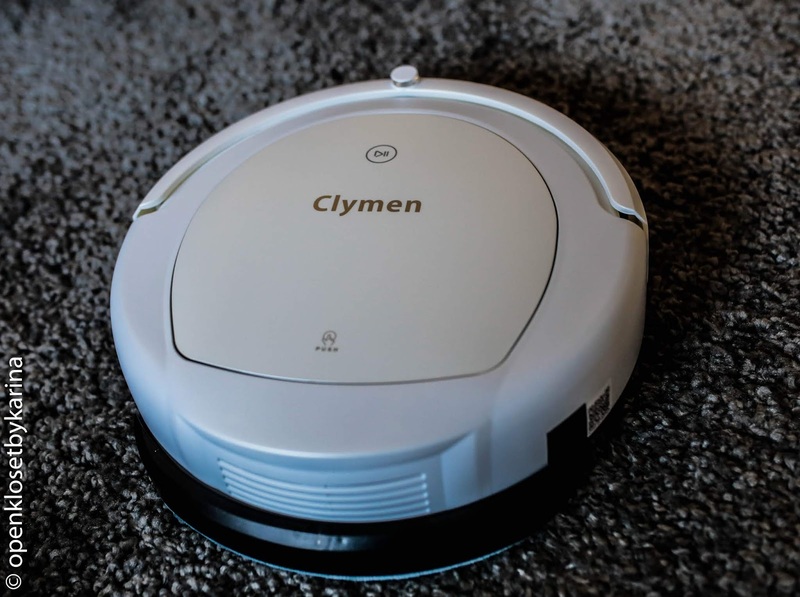 ABOUT Clymen "Make Your World Spotless"
We at Clymen are dedicated to produce the best Robotic Cleaners. 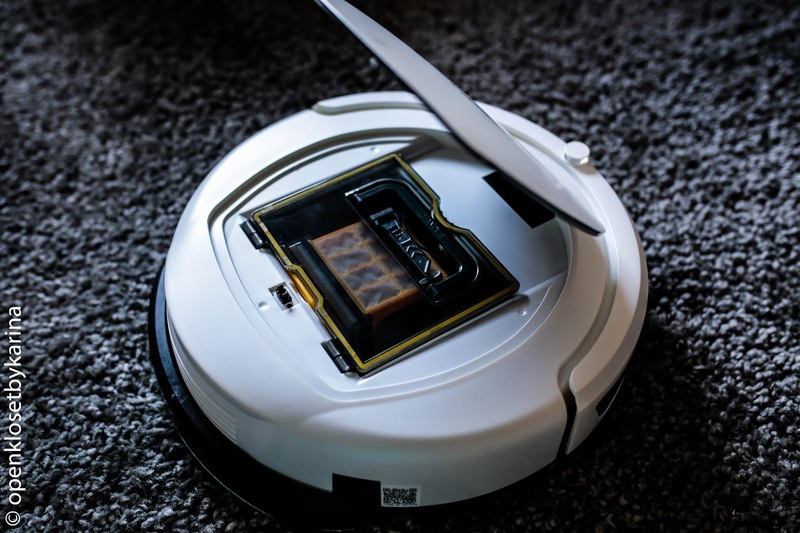 We have decades of experience in all aspects of producing cleaning robots. 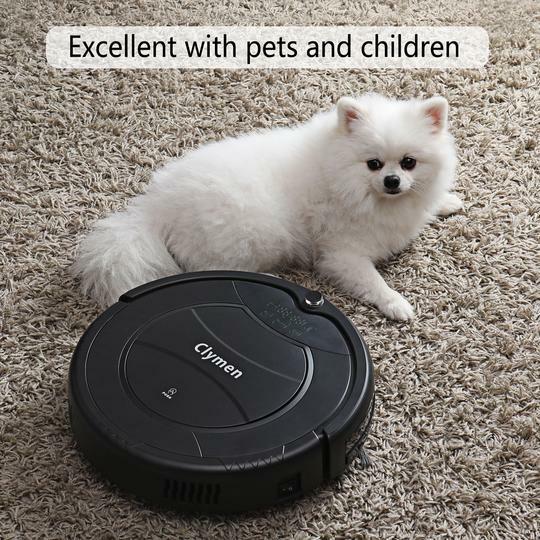 We are taking you, as a customer, very serious. 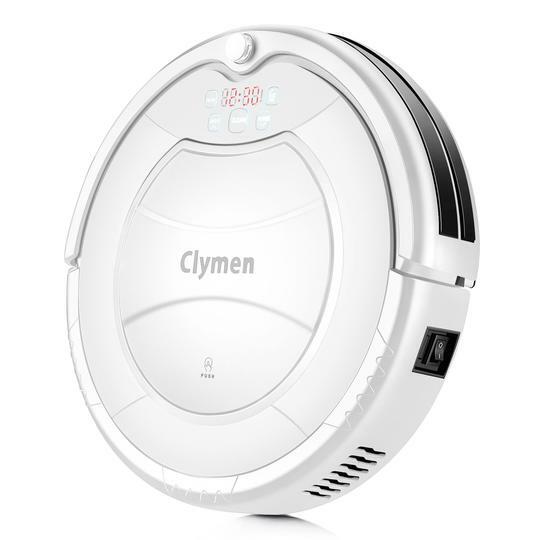 We listen to your demands and will enhance our products accordingly. 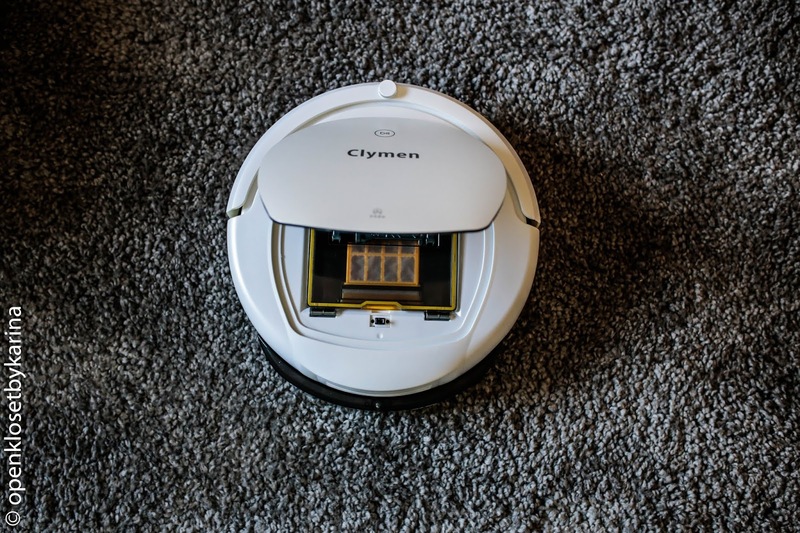 We have all the safety standards and international certifications, including several patents so you can rest assure that your device is the safest. 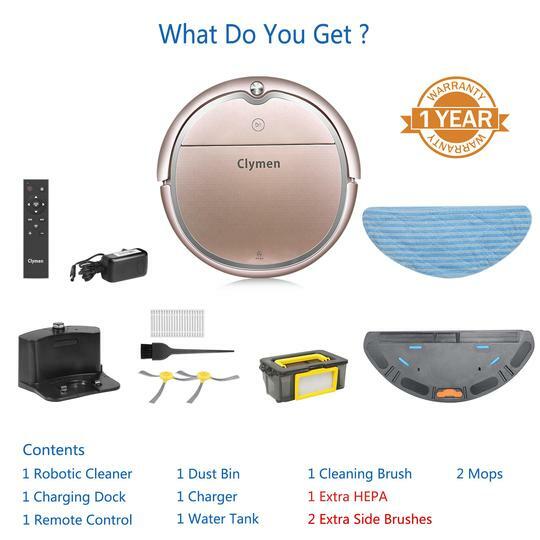 2 extra side-brushes and an extra HEPA-filter are delivered in your first package together with the vacuum cleaner robot. After that we send you FREE side-brushes and HEPA filter whenever you need to replace them! 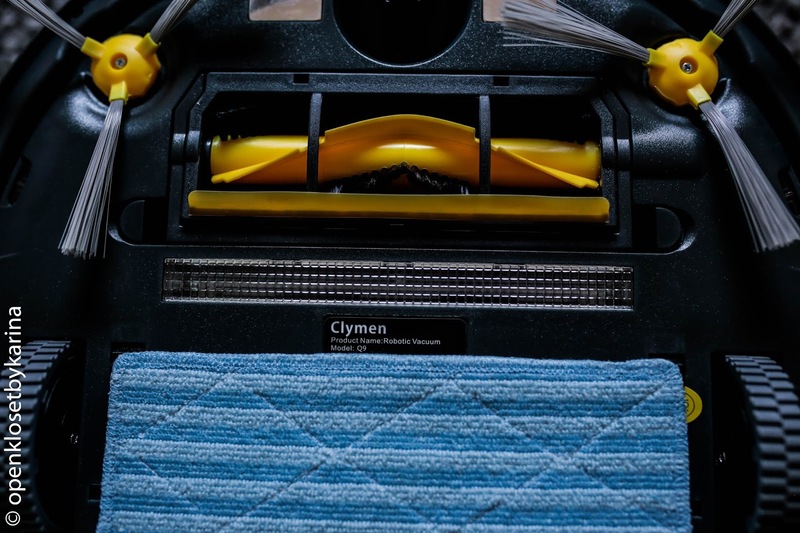 With its 2 side brushes and a powerful suction, our self cleaning vacuum is devoted to clean all low pile carpets, hard floors, wooden floors and rugs. 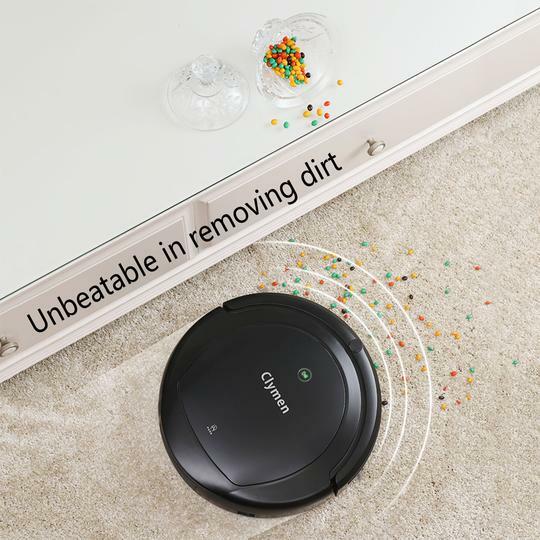 It audaciously slides under furniture to eliminate dirt. 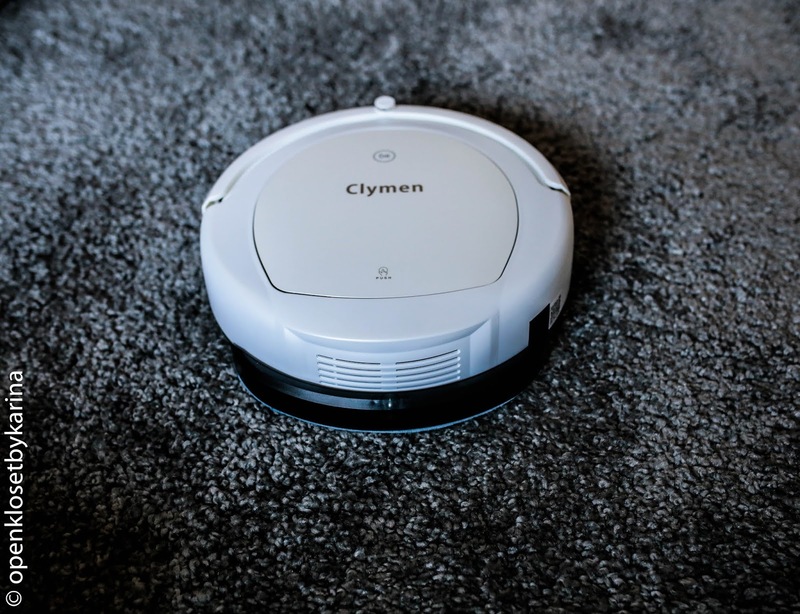 Whether it is your bed, the sofa or coffee table, Clymen pet robotic vacuum slips into areas other vacuums can’t reach! 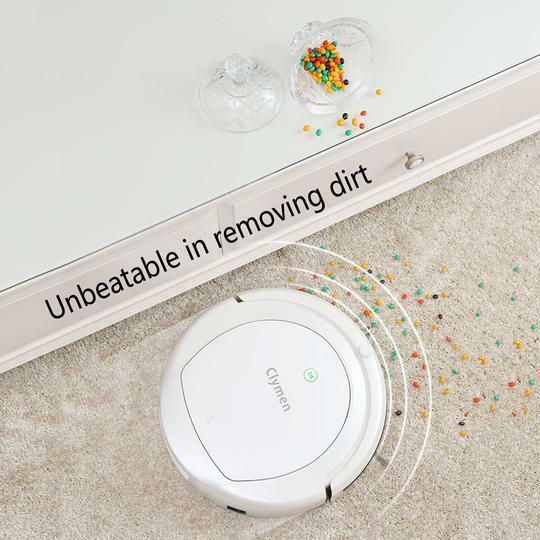 This robot sweeper is a perfect gift for your family. Do you know that nagging feeling whenever your mother calls you and you realize that you were too busy to visit her? 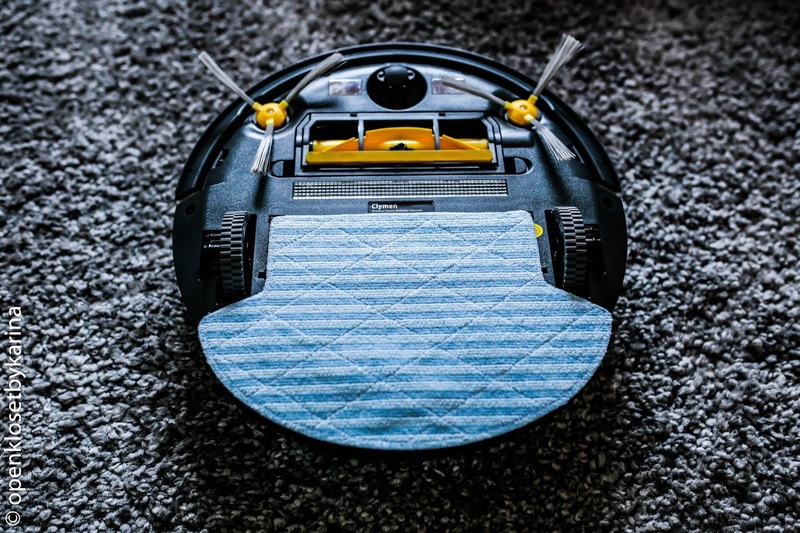 Do you want to help her more, but you are already feeling overwhelmed with your own household and job? 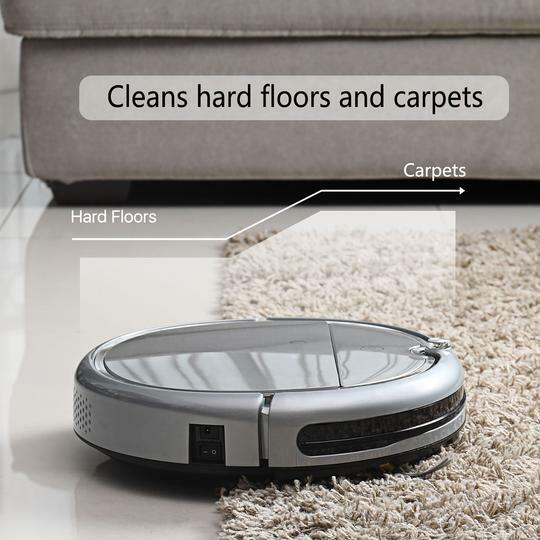 Well, our robot vacuum will help you to relieve the crippling burden to your mother, cleaning the house, in a second. 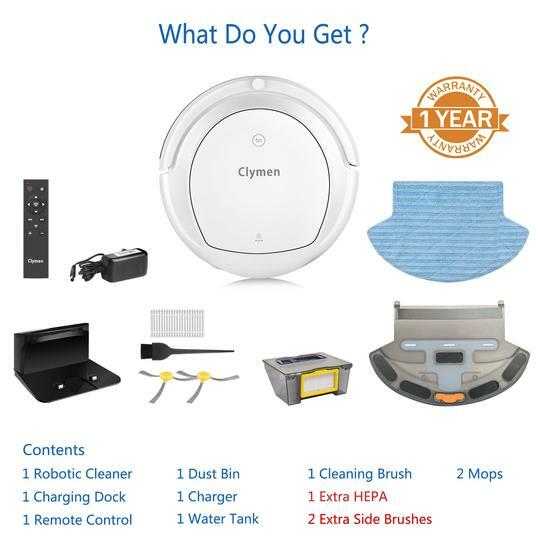 Your mother deserves only the best! 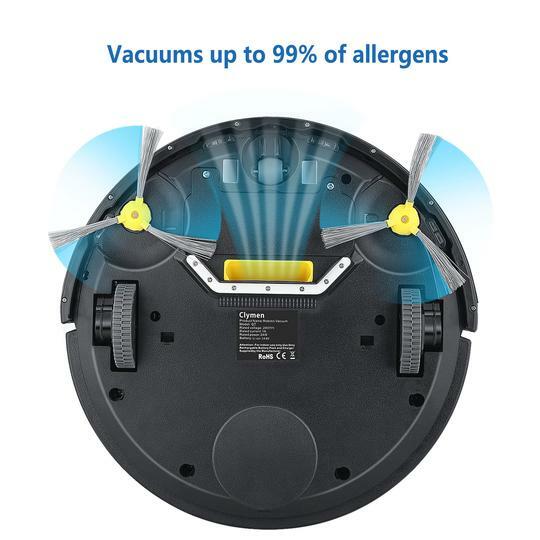 Imagine, your children wanted to surprise you on your birthday with homemade cookies, but the only surprise you got was a kitchen full of flour, eggs and other things spread everywhere on the floor. 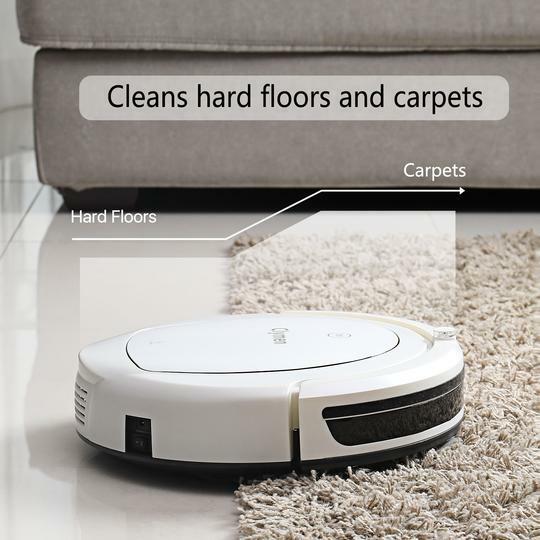 You can see yourself cleaning instead of having a well-deserved day off with your feet on the sofa and a good book. 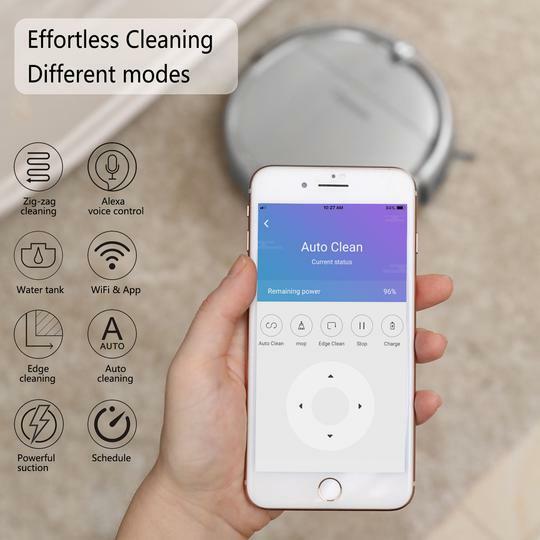 You don’t want anything complicated, just a good clean of your kitchen floor. 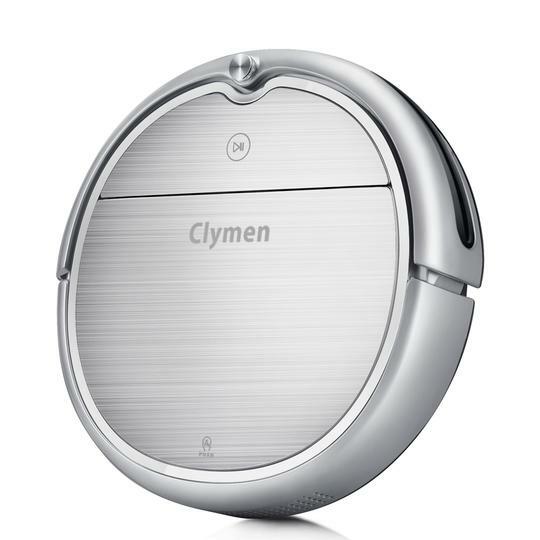 Don’t exasperate no more: Clymen Q7 auto vacuum cleaner is perfect for doing simple clean-ups in the house. 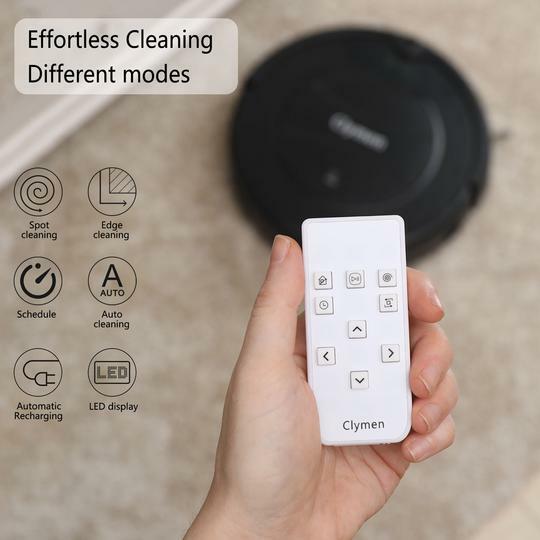 No complicated functions for this one, just a few buttons on the remote control and off it goes. 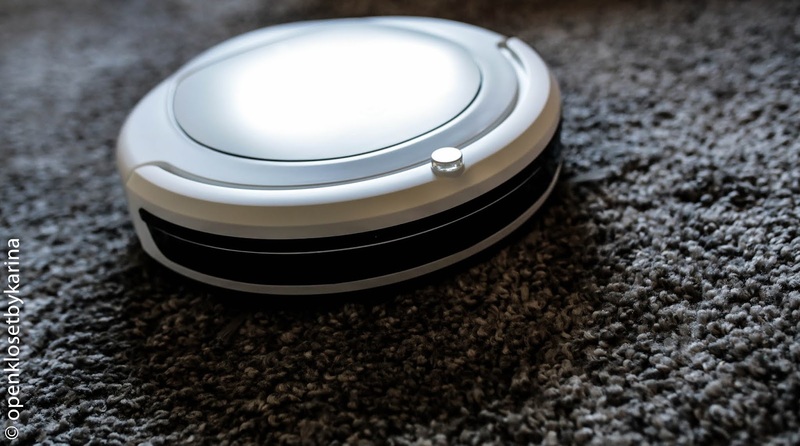 The robot floor cleaner has a UV light which destroys all germs and viruses. 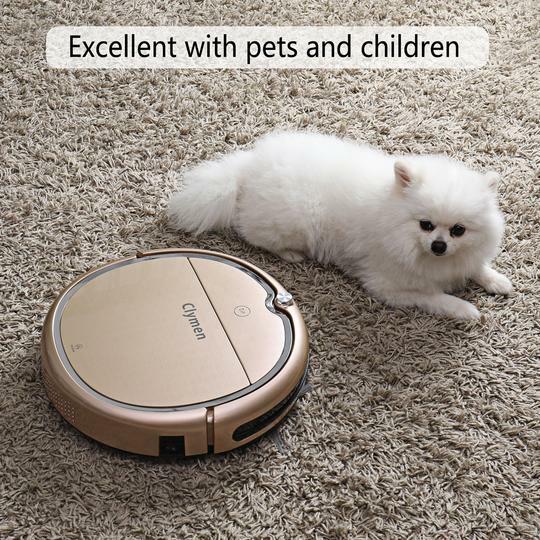 So, you will keep your lovely children, pets and yourself healthy! 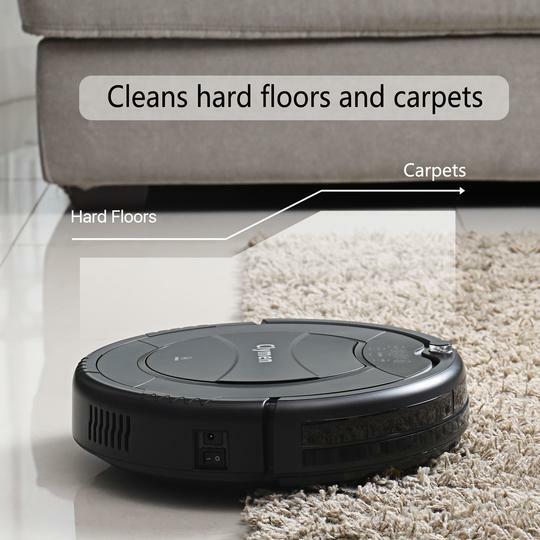 This robot sweeper is a perfect gift for your family. Do you know that nagging feeling whenever your mother calls you and you realize that you were too busy with work to visit her? 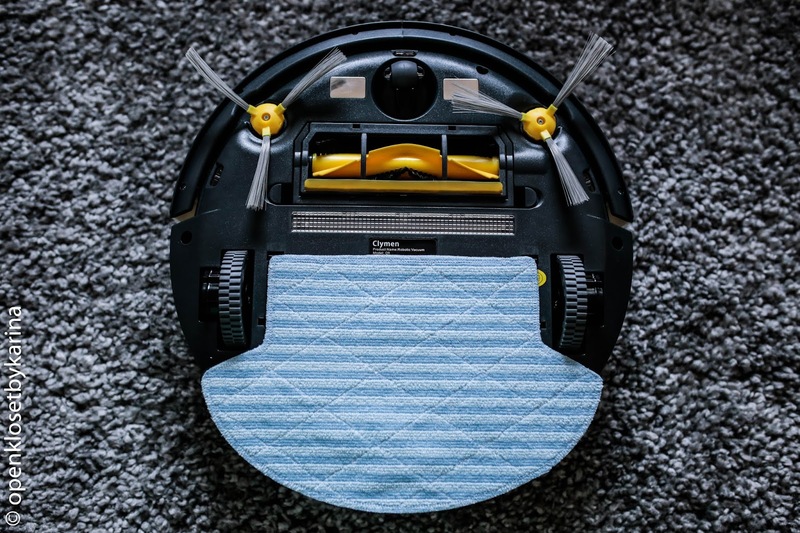 Do you want to help her more, but you are already feeling overwhelmed with your own household and job? 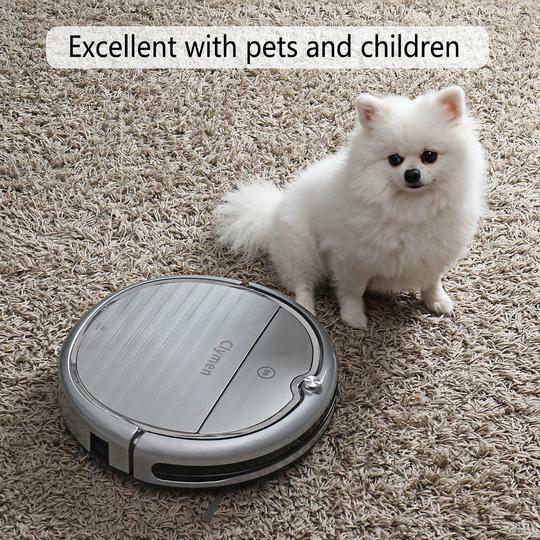 Well, our robot vacuum will help you to relieve the crippling burden to your mother, cleaning the house, in a second. 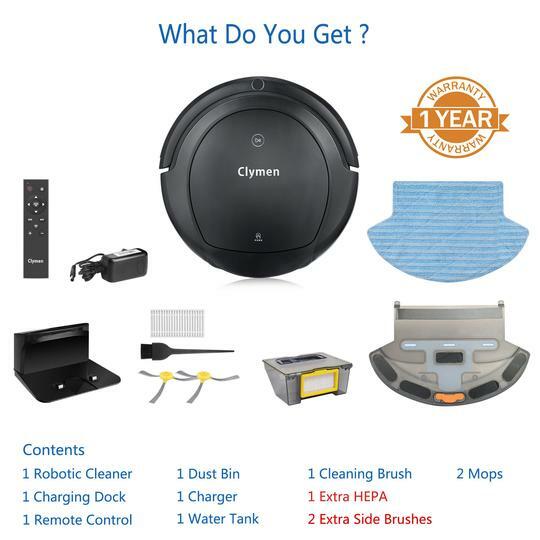 Your mother deserves only the best! You look at it and want to cry. These days are gone! 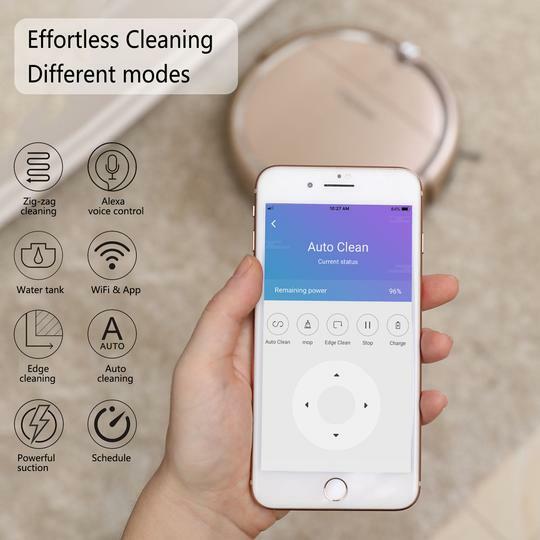 Now, when your precious monster makes a mess, you just smile, take your phone to control the app and let the auto vacuum cleaner do its work. 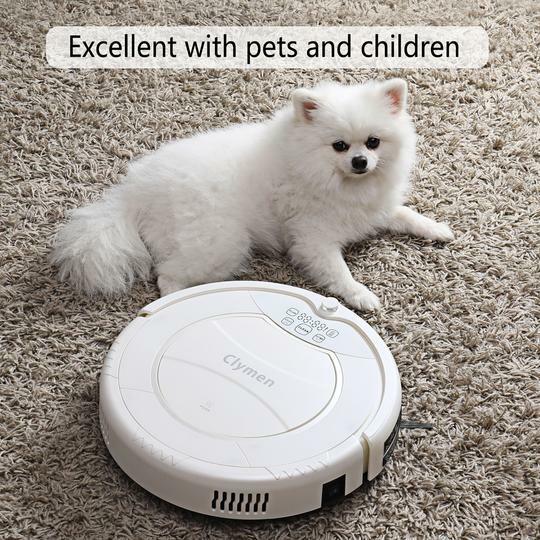 You can happily hang on the couch with your lovely pet close to you. 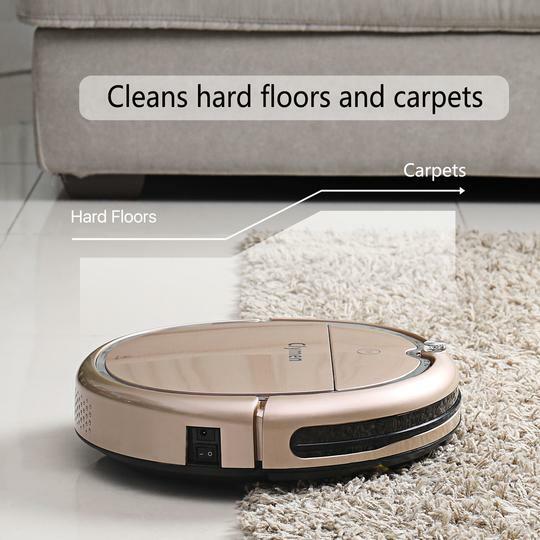 The robot floor cleaner has 2 UV lights: one on the outside and one inside the dustbin, this makes sure to destroy all germs and viruses. 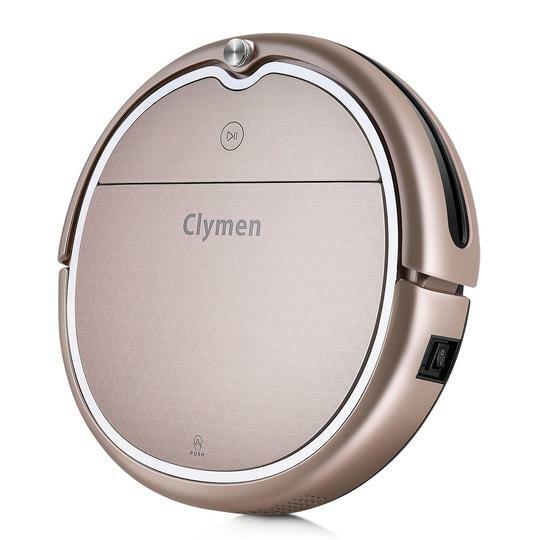 This unbeatable Clymen Q9 has a rollerbrush to entangle any hair or fur. 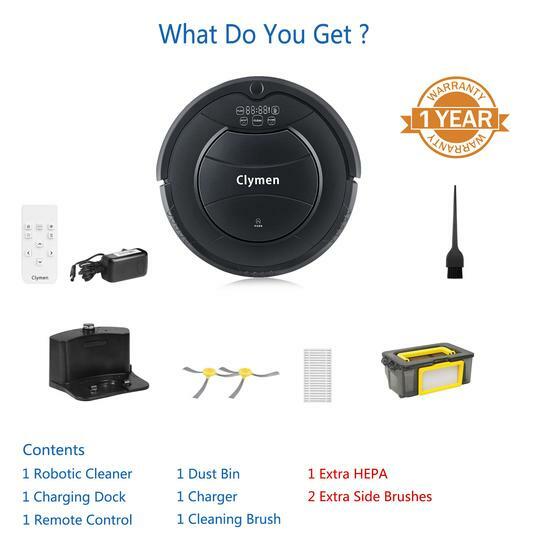 Get this model to get the best deal ever! 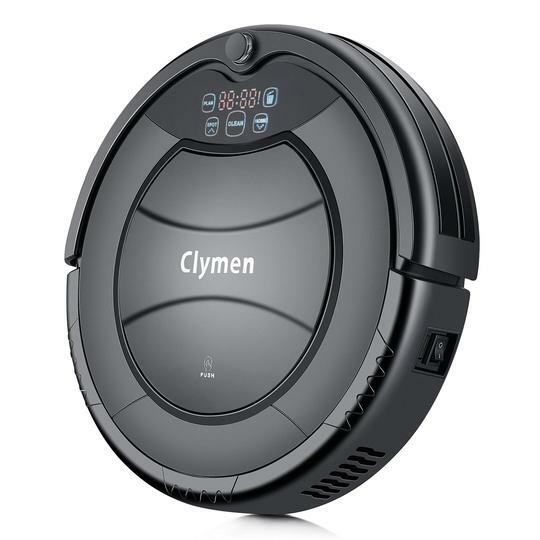 It has the most powerful suction, so our self cleaning vacuum is devoted to clean all types of floors. 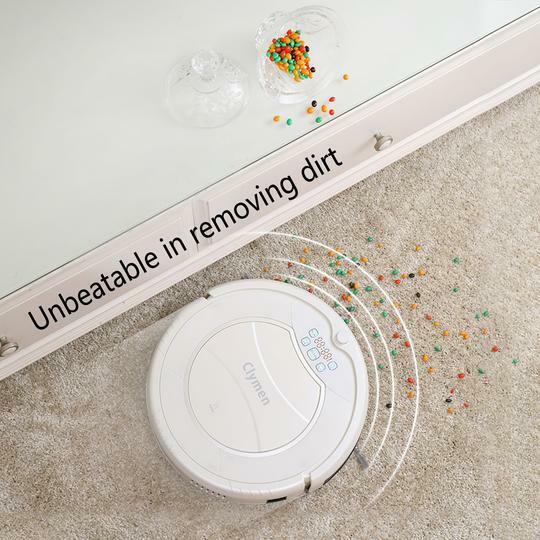 It audaciously slides under furniture to eliminate dirt. 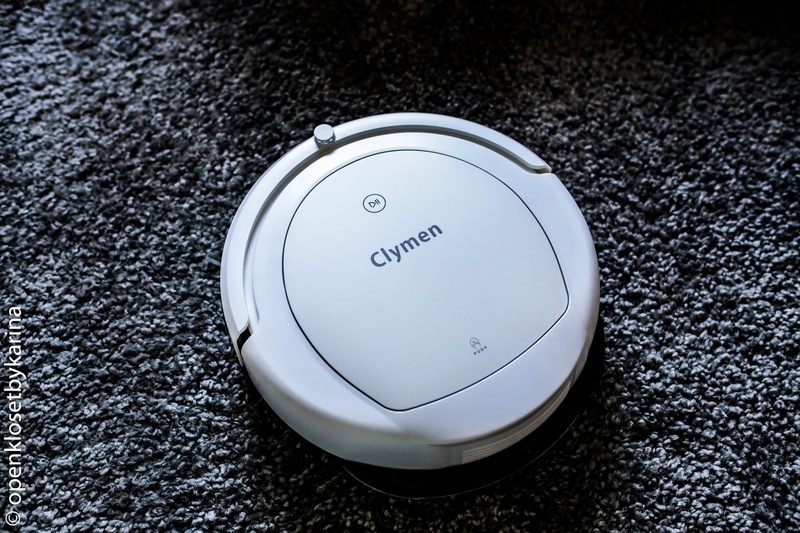 Whether it is your bed, the sofa or coffee table, Clymen pet robotic vacuum slips into areas other vacuums can’t reach! 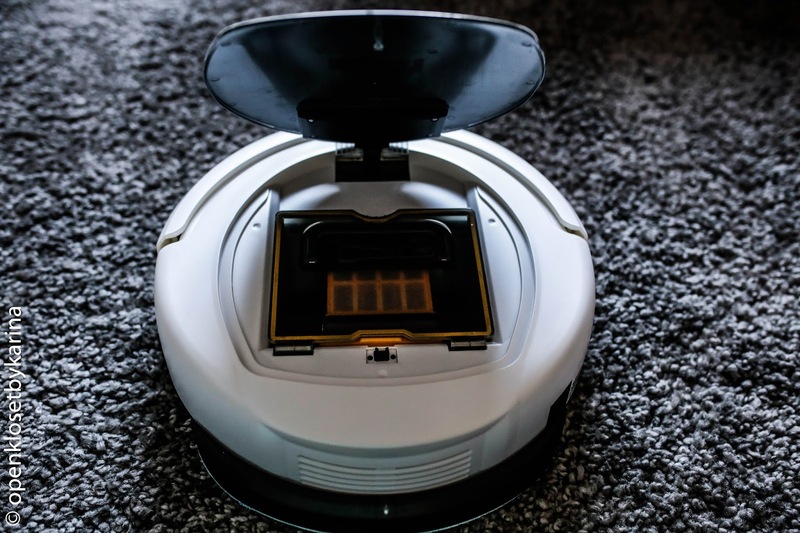 This robot sweeper is the quietest. 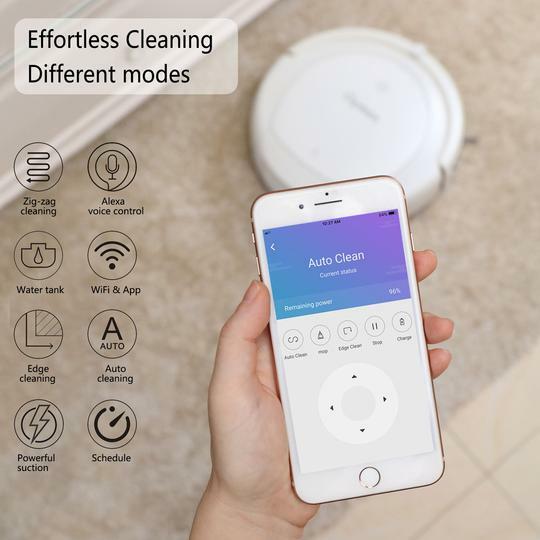 You don’t want an automatic vacuum buzzing around your kitchen when you are busy there while listening to your favorite songs. Nor do you want it making any noise when you finally got your baby to sleep and want to have that well-deserved me-time! 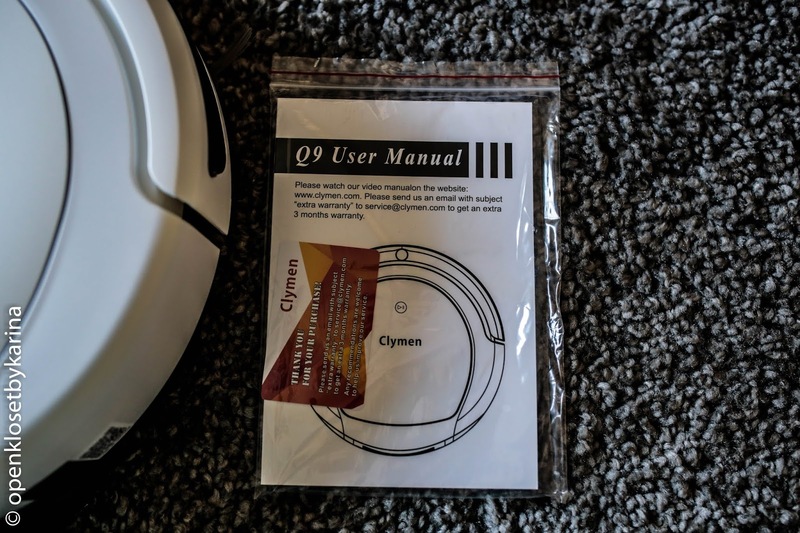 Take Clymen Q9 and don’t worry about any noise. 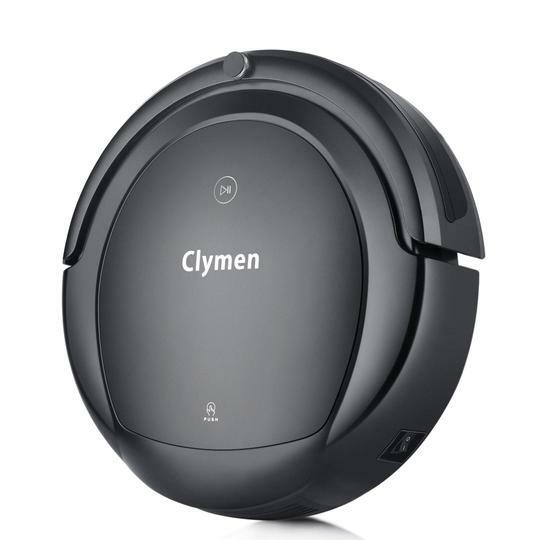 Imagine, it’s a nice sunny Sunday afternoon, you had a tough week at work, but you cleaned the house, did all the shopping and are ready to enjoy the sunshine in the garden. 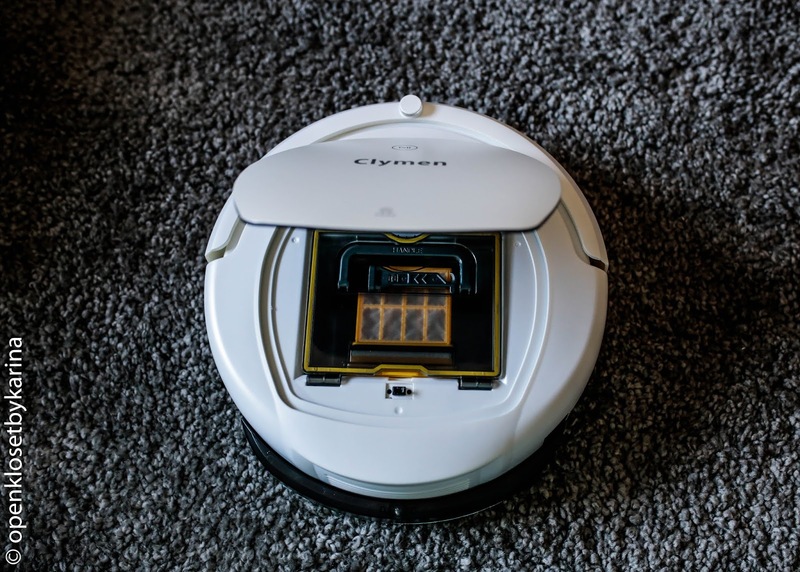 You stretch yourself out when, all of a sudden, you hear terrible noise inside your house. You wake up from your daydream and go inside to find that your precious dog had its own way of a nice time: the flour is all over the kitchen. 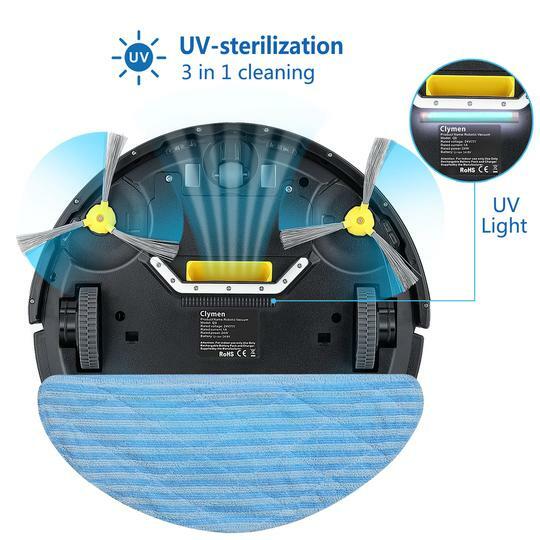 You can see yourself start cleaning again instead of being in the sun. But, no more! 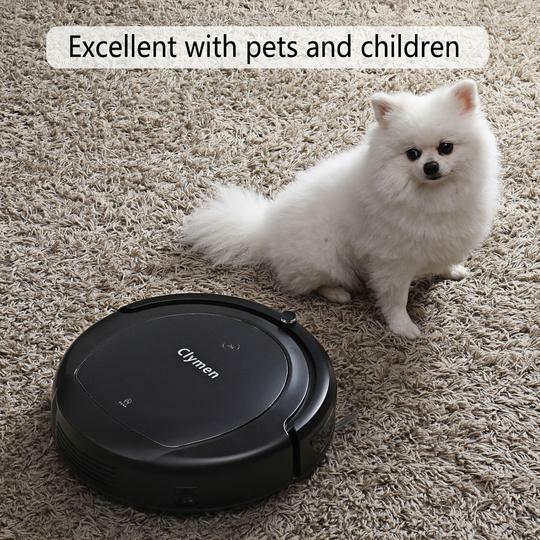 Now, when your pet makes a mess, you just smile, call Alexa to start the auto vacuum cleaner and you can go back to the garden and enjoy the rest of your weekend. 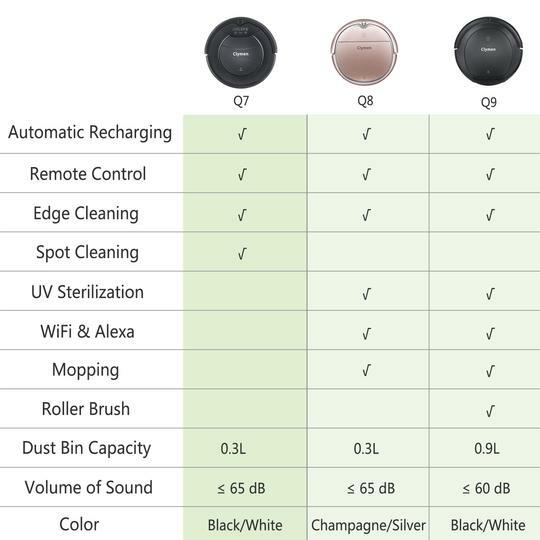 The 2 Model what I like the Q8 ( the Champagne & Silver Design are Gorgeous and the Q9 Model in White which has a rollerbrush to entangle any hair or fur, very Nice Function plus This robot sweeper is the quietest. 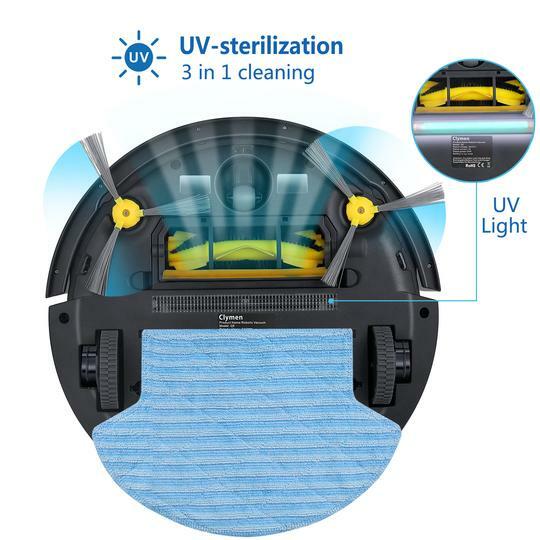 Love the UV light Function as well,which destroys all germs and viruses. 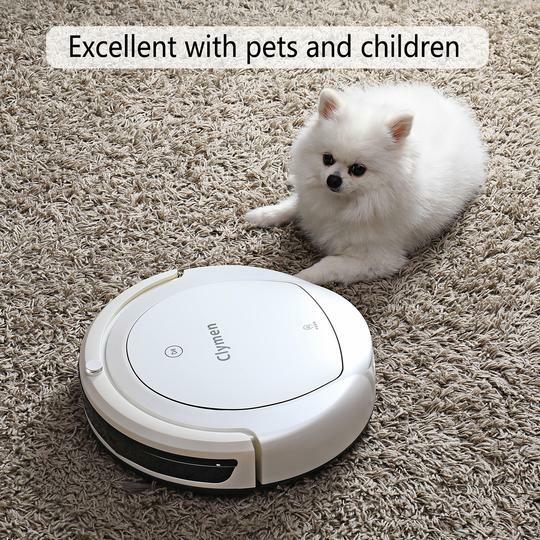 So, you will keep your lovely children, pets and yourself healthy. 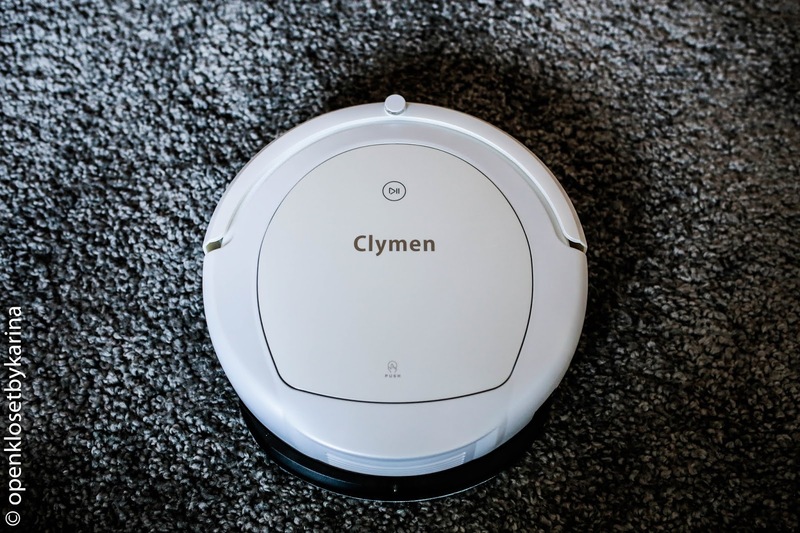 What do you think about Clymen Robot Floor Cleaner, I am 100% in Love, Affordable Price,Super Practical, and I can save Time, plus the Design is Gorgeous. 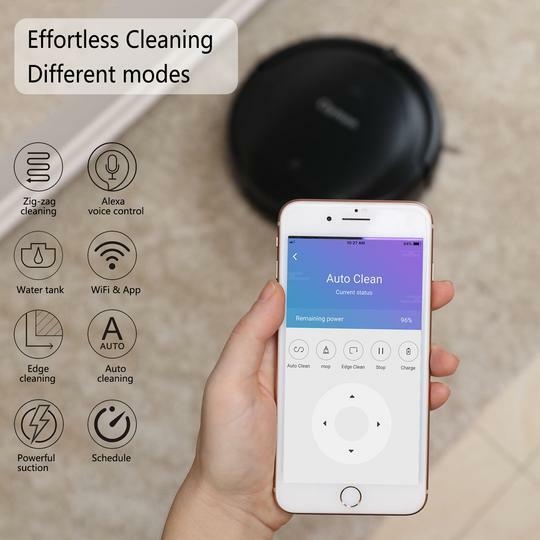 Which model is your favourite?